Unlike traditional, single-glazed windows which have one layer of glass and are usually encased in timber frames, double glazing windows have two layers of glass, just as their name suggests. They can come in a wide variety of different frame materials, from hardwearing uPVC and modern aluminium frames to traditional timber wooden frames. Not only do double glazing windows have two layers of glass but they also have an air gap between each piece, the primary and the secondary pane. Thanks to this air gap between the two panes of glass, you will enjoy outstanding heat retention, thermal performance and noise reduction, while draughts are also kept at bay. If you only have single-glazed windows in your home, you will be losing around 50% – 70% of the heat because it will get lost through the glaze and any gaps where the sealant may have rubbed or come off. This can end up leaving your home feeling rather arctic throughout the winter unless you have your heating on full-swing all day and night but sometimes even that isn’t enough. However, with double glazed windows, which have an air gap between the two panes, most of this heat will be retained due to the extra layer of glass and due to air being a very a poor heat conductor. This means that the heat which is normally lost through a single-paned window will instead struggle to travel through the double glazing and most of it will stay in your home, leaving you and your family feeling nice and toasty in the icy winter months. Not only will you and your family be warmer in the winter months with double glazing windows, but you will also find your heating and energy bills greatly reduced. Your home will retain more heat, reducing the need for your radiators to be on full blast all day. Your new windows can save you up to £110 a year on your energy bills which is not only easier on your pockets, but easier on the enviroment too. A common misconception is that double glazing windows will make your home warmer in the summer months, just as they do in the winter months. Not only is this not the case but it also couldn’t be further from the reality. Aside from double glazing windows keeping you more comfortable in the winter months, you will also find something similar happens in the summer months, only the windows will be keeping you cooler instead. Double glazing actually insulates your home against both ends of extreme temperatures, incorporating a barrier against the inside and outside of your home making you feel more comfortable inside, whatever the weather outside. However, there does come a limit to how many panes of glass you can have before this doesn’t stand true, and it seems that the limit is two. Research has found that triple glazed windows can actually make your home warmer in the summer months too so for this reason and for the UK climate, we always recommend double glazed windows for all year round comfort at home. Not only are they more advantageous in the UK, but they are also a lot more cost effective too. Few things matter more to most of us than the security and safety of those closest to us, whether it is that of our family or our pets. Traditional single-paned window frames are significantly less secure when it comes to keeping your home and its contents safe and for this reason, can even result in higher insurance premiums. Double glazing windows are much more difficult to break into and are great for discouraging intruders. Not only will you save your home and your contents from potential intruders but you may also save on your contents and home insurance too! Sliding secondary windows can add an extra layer of security to your double glazing, fitted with sprung catch locks which fasten automatically as the window closes. Hinged secondary windows can have lockable handles plus security bolts. Meanwhile, laminated glass can offer extra security, as well as sound insulation. 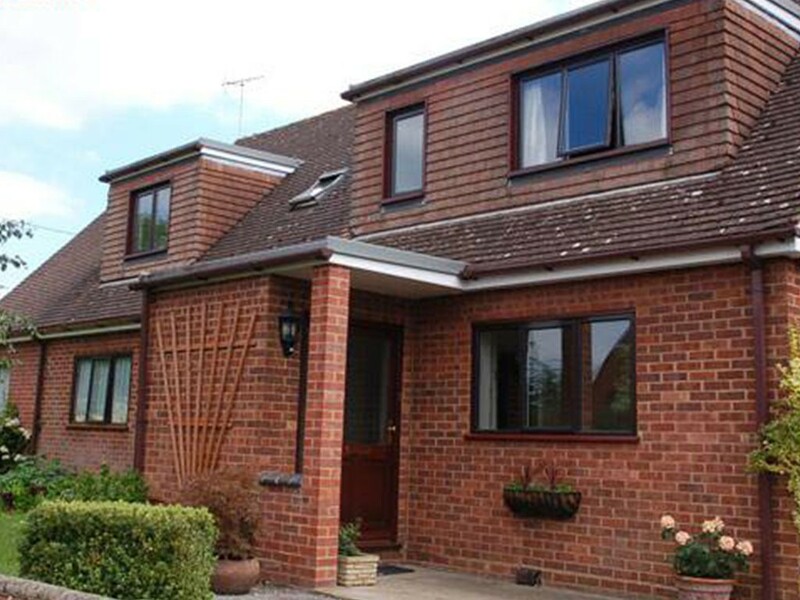 Double glazing windows are generally quick to install, particularly if you use a well-trusted and experienced company. They will have your home looking great and feeling more comfortable within minimum time and with minimum disruption to your life. Double glazed windows are made-made-to-measure ensuring a perfect fit for your home. We have a team of expert craftsmen installers who work across Oxfordshire and will make the process pain-free and simple. If you thought double glazed windows had to stand out like a sore thumb, think again! If you’re lucky enough to have a period-style, traditional-looking home, or live in a conservation area, models such as timber sliding-sash windows will retain this character, but with all the advantages of secondary glazing listed above. Not only are will double glazing windows make your home more comfortable by regulating the temperature more than single-glazed windows, but they will also add a layer of sound-proofing to your property, helping you escape unwanted noise from traffic and other external factors outside your home. By making your home more energy efficient and reducing the need for additional heating and air conditioning, double glazing windows can be a lot more friendly on the enviroment. Replacing your single-paned windows can be a much greener choice for homeowners. Secondary glazing doesn’t mean lots of additional maintenance work. A quick, regular clean is all you need to keep your windows looking as good as new. What’s more, you don’t normally need to apply for planning permission if you’re replacing your windows with models similar to those used when the house was built. When considering a bay window, however, we advise that you talk to your local planning authority first as this could be considered an extension and so you may need planning permission. When it comes to home improvements, one of the biggest questions many of us want the answer to is whether or not our improvement will increase the value of our property. Well, the good news is that adding or replacing your windows with new double glazing can add to the value of your home and be a major selling point for potential buyers. This is especially true if you are replacing single glazing windows or are modernising your home with floor to ceiling windows such as our aluminium models. Allowing more light to flood into your home will also make your property more desirable to buyers and may further increase the value of your home. Our double glazing is so unobtrusive you’d hardly notice it, but you’ll certainly feel the benefits. We offer you a range of windows to suit all styles of properties, and offer a choice of options to complement your home, all made-to-measure to ensure the perfect fit. What’s more, thanks to our many years of experience, installation is quick and will cause your daily family life minimal disruption. At Isis Windows, serving Oxfordshire and a number of other local counties, we’re ideally placed to offer informed advice about double-glazed windows, and to install them in your home. Talk to a member of our friendly, professional team today whether your preference is for an aluminium, sliding sash, uPVC or timber version. Previous post Key of the door for Isis Windows as we turn 21! Next post Could equity release help you improve your home this spring?